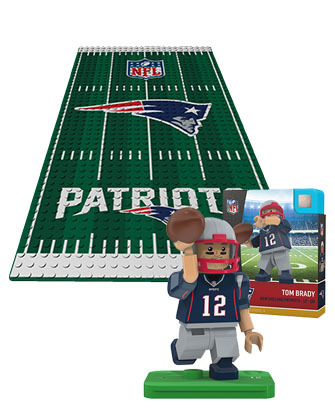 Tom Brady of your New England Patriots is ready to action! Your minifigure of Tom is custom printed to be an exact replica of his uniform - with minifigure style. This Generation 4 OYO minifigure comes with a helmet, football, headphones and more. Get in the game with one of our 15" L x 7.5" W printed team display plates! These printed plates highlight the awesomeness of a NFL field with detailed field lines and your favorite NFL team's logo displayed as big as we could get it! 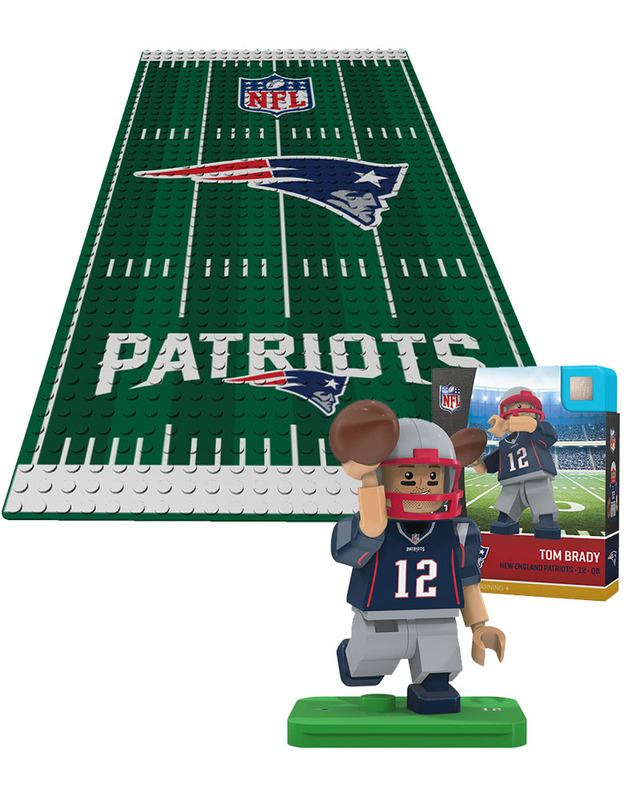 Whether you're displaying your minifigures, recreating your team's most-amazing plays or hanging it in your favorite room...this display plate is a must-have for any football fan!